Imagine turning the place you live into the home you love with home décor elegance from allen &plus; roth®. Why Choose allen &plus; roth? allen + roth® offers high quality home décor to enhance the look, feel, and style of any room. If you long to create a new look for one room or your entire house, you've come to the right place. If you want classic style with a fresh attitude, you're in the right place. Choose from thousands of customizable home décor options from allen &plus; roth® including color, fabric and more. Looking for lasting quality at an affordable price? allen &plus; roth® delivers. 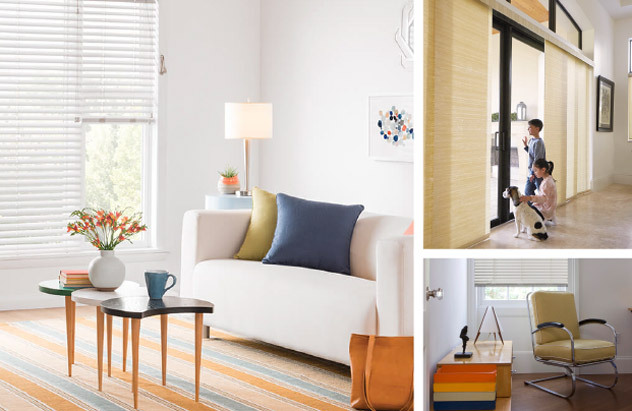 Well-suited for any household, these window treatments are stylishly family friendly - kids and pets welcome.